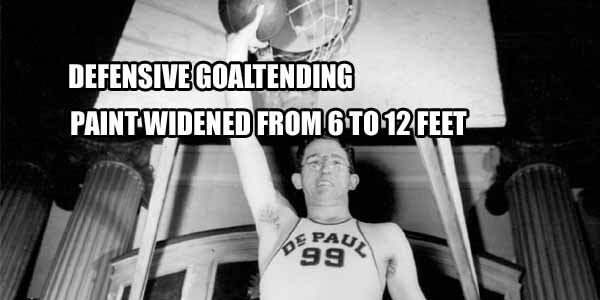 George Mikan was one of the biggest pioneers of basketball. Before him, it was widely believed taller people make inferior basketball players because of lack of speed and agility. The 6’9 Mikan’s big man game was so unique that the NBA had to institute a number of rule changes to keep up. Perhaps the biggest one is the goaltending rule that resulted from his ability to catch the ball on its way down to the rim at the defensive end, as well as the widening of the paint area from 6 feet to 12. As an official, he was responsible for introducing the 3-point line in the ABA, which later made its way to the NBA.